Product categories of Chain Link Fence, we are specialized manufacturers from China, Chain Link Fence, Galvanized Chain Link Fence suppliers/factory, wholesale high-quality products of Chain Link Fence For Sport Field R & D and manufacturing, we have the perfect after-sales service and technical support. Look forward to your cooperation! 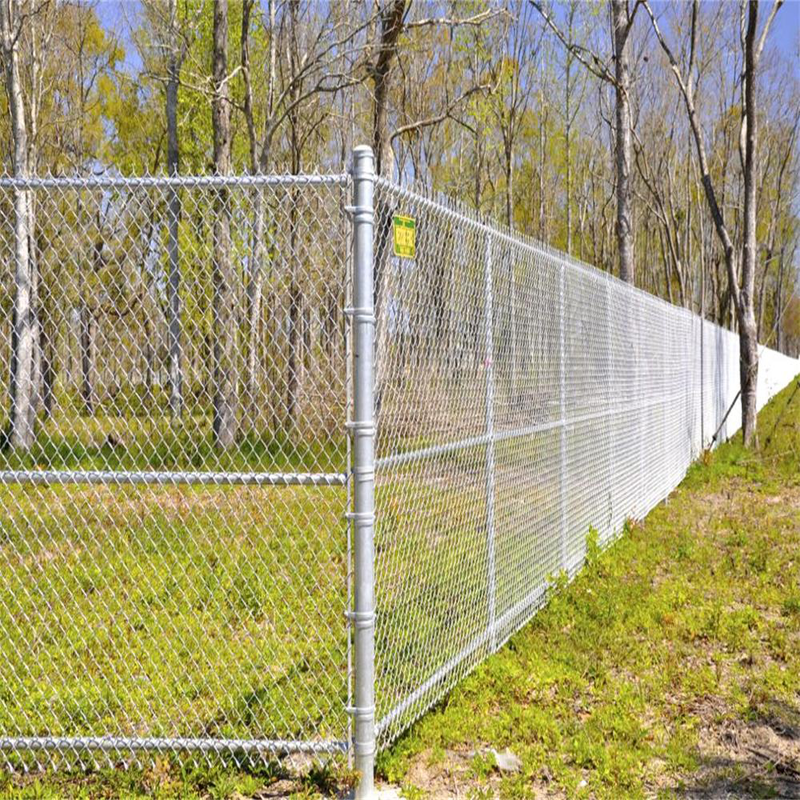 Chain Link Fence is made from galvanized or PVC coated iron wire, to fix with posts, brace and fittings to build a chain link fence system in the park, tennis court, airport and Other places.The fence is made of woven steel wire, which is one of the most commonly used and versatile of all the fencing fabrics. It is normally available in a variety of wire gauges and mesh sizes to suit individual applications. All chain link rolls come complete with line wires and with knuckled edges. Widely used in highway, railway, highway and other fence facilities. Also used for interior decoration, raising chickens, ducks, geese, rabbits and zoo fence. Fence of mechanical equipment, mechanical equipment of the transmission network. Sports venues fence, the road greening fence.